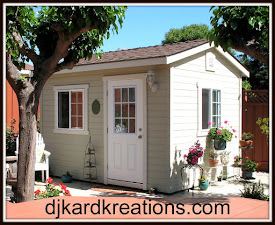 djkardkreations: My Pretty New Truck! Thank you for all your good wishes and Queries about my second cataract surgery. Everything went well! My vision will be a bit blurry for the next few weeks until I can get my new glasses so be prepared for a few new typos Darnellphemisms. Also, I've been warned that when I do get my new glasses, I will see even MORE "laugh lines" on my face and dust in my foyer! Doesn't that sound posh? I always wanted a foyer. And it doesn't seem right to have a foyer and not have a butler, right? Golly, as far as that goes, being a butler is lonely business, so it would be heartless not to have a maid and a housekeeper. You know, so he has a choice. But, hold on, it's 2018, so my imaginary butler is a woman and the housekeeper and maid are men. Don't tell the Mister. I can feel a whole novel starting, so I'd better get to my cards! Here we have a cute OLC featuring my pretty new truck colored with my Ziggies. This NBUS stamp is from Taylored Expressions (artist Doug Applegate). Isn't it fine?! It comes with hearts, a rising sun, and a cupcake. Oh, and it comes with dies, but for this one-layer card the truck is stamped. The potholes in the road are heart-shaped from a heart embossing folder (debossed). I added the tree of friendship stamp from Hero Arts set "Hello Tree and Friends," so I can use this card for a number of occasions. In keeping with my efforts to make at least two cards every time I make one, and to build my Christmas card stash all year long, I made this second card. To start, a snowy e/f ran over a linen card base. City workers came by and added a snippet of blue and green plaid pavement for my pretty pickup to park on. This time I used the die that came with the set. Everything is, of course, winked and glossed. The little reindeer is also NBUS. I saw this set used a lot by you folks over the holidays and I finally crossed it off my wish list. It's from Mama Elephant's "Christmas Reindeer" set. This little guy was colored with my Ziggies. (Mind you, Hammy thinks that's a hamster wearing an antler headband!) I think the sediment is PTI. 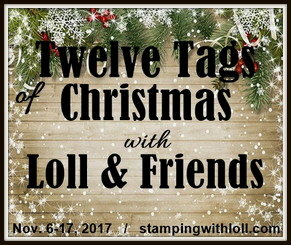 Merry Monday Christmas Challenge: Let It Snow! Simon Says Stamp Wednesday Challenge: Layer It Up. To open the pop-up comment box that let's you jump to the end w/o scrolling: Click CTL + Home. Click the Home tab under my blog banner which resets the post. Click page down to reach the end of the post. Click Comments and the pop-up box pens. Click "Jump to Comment Form" and wallah, no more car pool tunnel! Mwah! If you ask me a question in your comment, please remember to leave me your email address so I can respond. Thank you! These are inspirational 'twofers' Darnell - I love seeing the same stamp used in different ways. And the embossing folder! I love your clear, bright colours. Glad your op went well. Lovely cards and realy 'twofers'! Two fanatics cards with this truck stamp! Very cute! 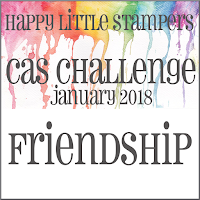 I love your OLC scene with that "sentiment tree" -what a cool stamp and perfect for CAS! I love the one focal point-layout in your card and that you left the top part all white and perfectly CAS.Thanks for joining us at Less Is More! Glad your surgery went well and you are on the mend. A super twofer with the cute truck. I too, am glad to hear that you are on the mend but please don't strain your eyes while you wait for those new glasses, the dust won't be going anywhere - lol! So glad your second op went ok. I love both of these twofers Darnell, glad the eye surgery went well and you are recovering. Don't know as I would want someone to come into my home and tidy and clean, I have enough trouble remembering where I've put my stash without someone else touching it too. Thanks for the close up - would have missed that amazing sparkle otherwise. Two fab cards so fresh and modern. Delightful duo of cards, Darnell. That truck looks fun to color and sparkle up. I really like the tree on the first card and the reindeer on the second. Love how Hammy thinks it's a hamster with a headband. LOL You are doing a great job for having just had the procedure. Oooh would love a butler, maid and housekeeper! Oh and how about a driver? Dang, I already have all that...me! LOL So glad you are doing well and hopefully the blurriness will be gone before you know it! Hugs! Cute, cute, cute cards!!!! Love that little truck. So glad the eyes are good now. Been thinking about you. I'm so glad that other than the blurries you are doing well. Just be sure you don't have dust in the laugh lines! Then you will need a housekeeper and maid. Cute little truck and I remember when they used to look like that! The tree is so cute. I wish our city workers would put down plaid. We only get potholes filled. Your new truck looks good! And what can you all take with you! Great cards! Oh, I love the sparkle on this truck. Cute cards. 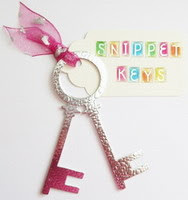 I am loving your two-fers and the inspiration to stretch stamps. Gotta side with Hammy on that "reindeer". It's a hamster wearing antlers from Party City. Both cards are fantastic Darnell, so glad you joined us for Merry Monday. Two lovely cards! I recently had cataract surgery too and will need a second one later. Glad to know you are doing well! Oh Darnell - what fun these cards are! I love both of them - but the snippets one really stole my heart (snigger, geddit). That tree stamp is wonderful! Good to know your second cataract surgery has come and gone and went well. Let the healing begin, she shouted. You'll be seeing clearly in no time...which reminds me, I've never seen a typo in any of your posts. I'm sure you won't be having any in the future. If you get the male butler, maid and housekeeper, let me know. I may want to borrow them...around here it may look more like a Chippendale's review, or maybe Magic Mike. I can dream, can't I. LOVE your new truck and all of it's contents. Both the cards are such fun. Also love the clever pavement on both of them especially the debossed hearts. I'm such a sucker for dry deboss and emboss. Anyway, pleased as punch that your recover seems to be going so well. Stay strong, gir. Er...that would be girl NOT gir. These are too adorable Darnell. Your coloring is fabulous. I must have missed that you had cataract surgery. Glad it went well. Have a great day. your tree of friendship is so cool and you have such a fabulous sense of humour!! Twofer cute for words! I love your OCD...er... I mean OLC card with the hearts for potholes. May all your potholes be heart shaped and your pavement be plaid! Awesome sparkle. Really love the tree, too. Fits perfectly with your truck. Totally adorable reindeer hitchin' a ride. Lots of fun today, Darnell! 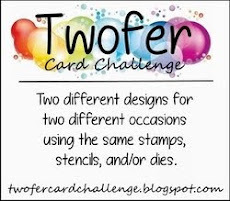 as always your twofer cards are so brilliantly created. Love that ruck stamp oops truck it's so versatile and the tree of hugs! and Hello's! is a fanstatic stamp. Your second one is such a lovely Christmas card and another really super design too. So glad all is well with your eyes. MMMMMMMMMMMMMMMMM! a butler that would be wonderful especially if he was a hunky American Actor. Now wait a min what am I talking about I have one already the Mr. LOL. Lots of love and crafty hugs from my house to yours. Jenny L.
Two really great and creative cards! It my book...It was one of the best things that has ever happened to me. It improved my eyesight so much. It did take me almost a month for my eyes to heal. Delighted your eye is healing, Darnell! 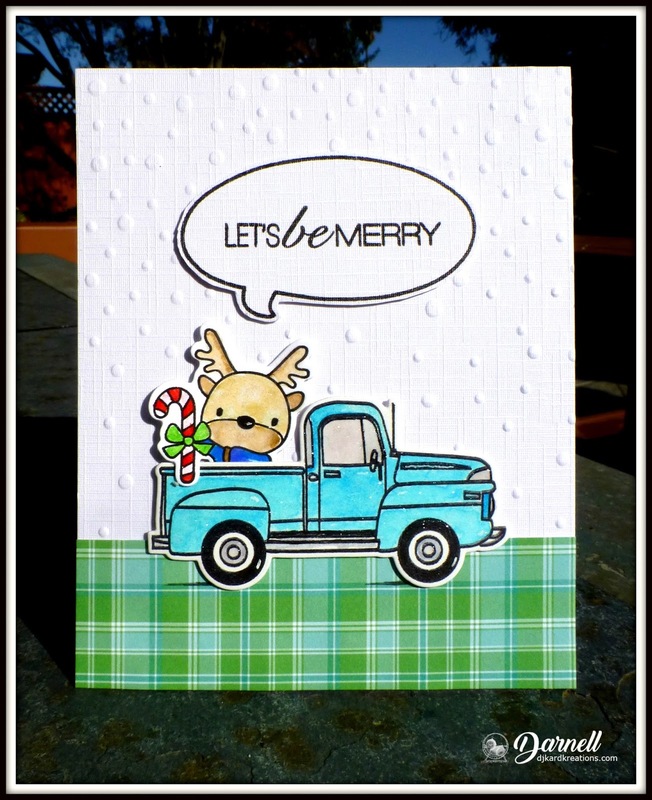 Just love both truck cards - the heart filled one is darling and what a sweet reindeer in the second!! I'm lovin' that Friendship tree, Dolly! I need to get a seedling from you so I can plant one! The truck is such a festive color and I love that it schparkles! The antlered hamster is adorable. I think she's offering that candy cane to Hammy! Love that plaid paper! I think your two blue truck cards are super! I guess I better get my (same) stamp set out, dust it off, and get busy. I do love that friendship tree, too. Super cards Darnell, great trucks and I love the sentiment tree - fabulous designs. Two sweet cards, Darnell! Loving that sparkle! Two awesome cards you've made!! Love that Tree of Friendship stamp! So glad to hear that your cataract surgery went well and that you're on the mend! Don't worry about seeing that dust--you can just draw happy faces in it! LOL! I just love your cards- and that Tree of Friendship- I NEED that one! LOL Oh I love the sparkle on the truck. Two cute cards. I love the idea of the female butler- would she wear a suit- wouldn't she be a butleress? And, the male maid- what will you have him wear.....young, old? Thanks for putting a smile on my face today! Adorable cards so creative!!! I'm just in love with the truck one, such great idea!! Love the tree of friendship, amazing!! OMG just realised that you will be able to see us better too, oops not a pretty sight. Glad all went well and you are feeling great. Super cards, love the tree with the fab words and all the glitter on the truck. Really sweet second card, cute image and fab design. So glad to hear your second operation went well. You look to be having a blast with your new truck. I love all that it can hold and its definitely a year round kinda stamp. Both your reindeer and your load of hearts look perfectly comfortable. So pleased to hear your 2nd surgery went as well as your 1st. Love both your truck cards for very different occasions, my friend. Very versatile set:-) TFS and do rest your eyes whenever you can. Take care, Dolly! Hugs.. Your cards are so fun and fantastic. I love them both. Such cute images. And so glad the second surgery went well too. Good news about your peepers, not such good news about the laugh lines and dust!! This little truck is too darn cute Darnell. Love it filled with the hearts. It's just as cute on a Christmas card too! These are such cute cards, and I love that embossing folder with the tiny hearts! It reminded me that I have one and forget to use it! LOL So glad your eye surgery went well and it should be wonderful getting great vision back again eh? Have a great week ahead! 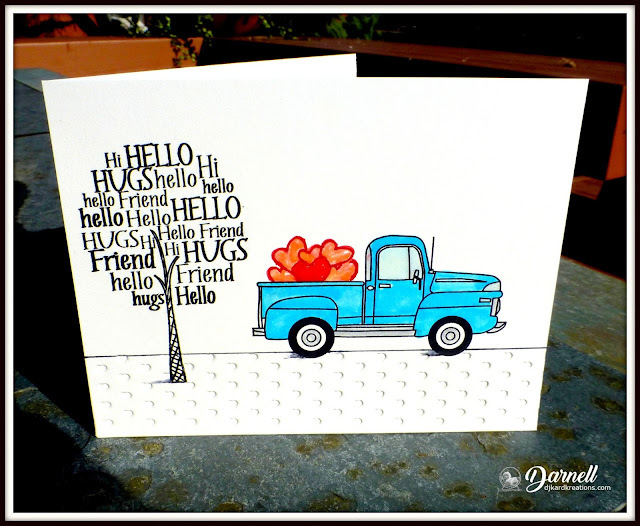 Love the truck image Darnell, two fabulous cards. Thanks for sharing at Merry Monday this week. I can certainly see why Hammy thinks the reindeer is a hamster in antlers - I might have to agree with him. Either way it's a great card. I like your Christmas card goal!! And this one is a great Twofer! Good news about your eyes - don't tell the mister you can see the dust just go on pretending it's not there. I got away with not cleaning our shower recess for a number of years cause it was behind a door and I never wore glasses in there so never saw when cleaning was needed - don't judge I got out of cleaning for a while. As for the lines they show you have lived. Awww--both are sweet cards! I couldn't pick a favorite, even if you insisted. Which, I know, you won't. Hope your weekend was wonderful and your week ahead looks bright. Two fabulous cards. I can not pick a fave. They are both equally great! The first is so sparkly and sweet with the heart potholes and that fantastic sentiment tree. The second is such a fun and cute Christmas card. The reindeer in the truck bos is the perfect finishing touch here. So wonderful to hear that you are doing ok after your eye ops... Ian had them too and funnily enough he still sees me as beautiful... Aw well I'm not complaining. Fabulous cards, I love stamps that can be used in different ways like that truck ... Both look super! I thought it was a rumble strip,under the first truck to slow you down but no you went on and made another one. I notice they are both blue trucks.!! hugs Mrs A.
P.s. The Butler knows an awful lot of a families secrets. Just saying. I love your twofers Darnell and these are gorgeous. I'm so glad the second op went well and don't worry a fig about the laughter lines and dust. If they bother you, you can just take off the glasses for a while lol! The tree of friendship is an amazing stamp and I love that you’ve combined it with that bright and awesome truck. Thanks so much for linking up with the HLS CAS Challenge. Love your sparkly new truck card and the design of each one. Thanks for sharing. Fun cards, Darnell. Love your sentiment tree on the first one! Happy to hear your surgery went ok. Over here, we're also celbrating, since the oncologist declared DH cancer-free today. Doing cartwheels right now (imaginary ones of course). PS: Excellent news about your eye surgeries!! Love your mix of companies!!!!! Super sweet effect!!! Thanks for joining the Merry Makers this week Darnell, best wishes on speedy recovery!!! Love the truck, it’s a little ripper! Multi purposes too in true twofer fashion, brilliant share, love the use of tartan?..!! Note to self, must use mine more often!! Hugs and prayers for full vision restoration, I love my two new lens... glasses of course make worked of,difference too. I also have to use your twofer idea often. :-) Great cards with the truck. I love them both. Darnell, what amazeing twofer card you make :). I'm so glad that you come around my place and became my follower - I return your visit too :). And yes, as you said, I'm a friend of your friend Sonja "old punca". By the way - I like your "home" blog and the cards you make :). Oh Dear, I had missed when you had the eyes fixed. (I remember we talked about it!) So happy it's done, over with, and just ignore any lines that you might think are there. Those are called "Experience marks". Love your shiny new truck in both its uses. Perfect for a load of sweet hearts (for your sweetheart, cause I'm sure he likes a truck!) I especially loved #2 - think it was the plaid 'road' that did it. Cute design, love the coloring (of course) and the little reindeer was just way too cute. I'm admiresome of your goal of making more than one card at a session. This set is very versa-tile in your capable hands. TFS & hugs. Happy new vision too! Your Christmas card is very cute but the first card stole my heart (it's the deep red one on the truck, lol)! The sparkly heartbearing truck on the heart covered road, and especially THAT tree are super, super fantastic! Would you mind telling me who makes that awesome word tree??? Oh, I adore your cute cards. What a fun truck! And your blog was such a joy to read--endless chuckles as I read along! Glad your surgeries are over and you can look forward to seeing even better. Or maybe not, who wants to see all those dust bunnies living around the house--might see something scary! Have a great week! Just had to pop in and see you Darnell - oh and the fabulous cards too. Good to hear Hammy is 'seeing' himelf as a world famous hamster riding in a truck!! So glad your surgery went well. Your post about the butlet etc did make me chuckle. Great twofer cards, love the truck. My daughter tried on her new glasses at the eye doctor's counter, looked over at me, and the first thing she said was, "Wow, Mom, I didn't know you had so many wrinkles!" What?! Out of the mouth of babes. I love how you put texture as the base on your OLC. Love can be a bumpy ride. Your new truck is a great way to carry around those hearts AND a reindeer! Great job meeting your twofer goal! Don't forget to hire a chef while you're interviewing your new house staff. I am so happy your surgery went well! and wow, two amazing cards, so different and so special! So glad the surgeries went well, Darnell! Hoping everything looks bright, colorful & clear very soon! That truck is so cute & I love how versatile it is shown by your 2 different cards! These both are great! So glad the second surgery went well, Darnell! I only made a twofer for your challenge. Now I know I should do it more often. Thanks for the inspiration. You did it again. Your pretty little truck drove right into the winners circle at HLS. Congrats and Happy Valentine's Day.